United Airlines can offer fantastic value redeeming miles for travel on United Airlines and Star Alliance partners like Air Canada and Lufthansa. Many of us on the Million Mile Secrets team prefer using United Airlines miles because they never add fuel surcharges to award tickets – even partners! But to get the most out of United Airlines miles, it’s important to understand how award seats are priced and where the sweet spots are. That way, you’ll get the best deals and avoid spending more miles than you have to! 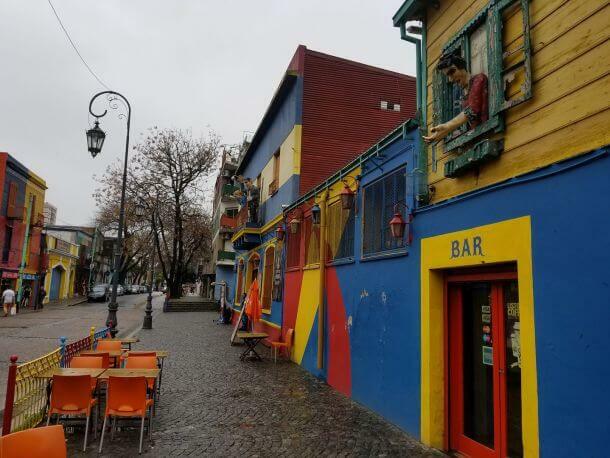 Visit Places Like Colorful Buenos Aires on Partner Air Canada Using United Airlines Miles! 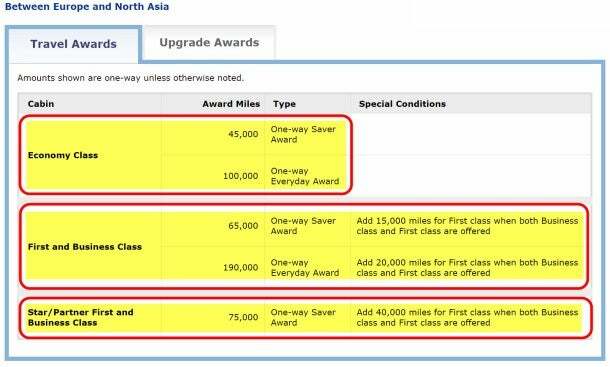 I’ll explore the United Airlines award chart and point out some of the best uses for your miles. The price you’ll pay for an award seats depends on the region of your origin and destination. The length of the flight, or whether it has connections, doesn’t matter. For example, a one-way Saver coach seat between the North America region (Mainland US, Canada, and Alaska) to North Asia (Mainland China, South Korea, Mongolia, and Taiwan) will cost 35,000 United Airlines miles, no matter how many flights you take. Further, United Airlines prices award seats based on whether you are booking Saver seats, which are the cheapest seats and are released in limited quantity, or Everyday seats, which cost more than double the cost of Saver seats but are far more available. Note: If you have certain United Airlines co-branded credit cards, like the United MileagePlus® Explorer Card, you’ll have access to more available award seats. But we’ll run through that in a later post! For example, a one-way Saver coach seat from North America to North Asia costs 35,000 United Airlines miles, while an Everyday seat costs 80,000 United Airlines miles! Everyday Award Seats Are More Than Double The Cost of Saver Seats! Saver seats are available on United Airlines and all their partners, while Everyday seats are only available on United Airlines flights. Finally, while there is no difference in price to fly on a Saver seat with United Airlines versus a partner airline in coach, if you are booking Business Class or First Class, United Airlines charges more miles to fly on partner airlines than flying on their own planes. Fortunately, United Airlines doesn’t charge fuel surcharges, which helps offset the increased cost of miles. United Airlines publishes their award chart on a handy interactive application. Using this application, you can choose your origin and destination, and the application will tell you how many miles your trip will require in coach, Business Class, or First Class as Saver, Everyday, and partner awards. To use the chart, first figure out which zone your origin and destination are located. You can review the breakdown of countries by zone to figure it out. Let’s say you wanted to fly from Turkey (Europe) to South Korea (North Asia). You’d find the zones that correspond to those countries. Once you know your zones, you can navigate to the interactive award chart and enter your origin zone and destination zone to view award pricing. First click on one of the corresponding zone categories (ex. “Europe and Middle East” for Europe) and then select the correct zones based on your trip. You’ll then be shown an expanded list of regions. Finally, scroll down the page and you’ll see the cost in miles for your trip. United Airlines offers excellent value for redeeming miles, with pricing options for Saver and Everyday seats. And there are several sweet spots, like discounted pricing on short-haul flights outside North America. You’ll never pay fuel surcharges, even on partner airlines! You can earn United Airlines miles by transferring Chase Ultimate Rewards points, from cards like Chase Sapphire Preferred Card or Chase Ink Business Preferred Credit Card. Or earn them directly from cards like the United MileagePlus® Explorer Card. In the next post, we’ll show you exactly how to search for (and book) award flights online! I just want to see the rewards chart. Please. Give me a site with the chart. I need a start point and will catch up on the verbiage later. I have spent way too much time just trying to find the blinking chart! So being a mostly exclusive United only flyer, given on a live in the former occupied area of Continental Houston; if you were able to find a Saver Award on a partner airline could I upgrade then afterwards to Business or First a different way? For example if I wanted to go to Asia, Oceania, or Australia/NZ on a Saver with a carrier that participates in multiple alliances (e.g. Singapore would be a great example) then use either Kris Flyer or Alaska miles can I upgrade to business or first; as obviously on United with XN flight has restrictions (with status yes; however in my case as 1K if I buy a ticket as Premier 1K and book family members with miles on XN they cannot be upgraded with $$, miles or GPUs)?